This has to be the best flybridge I've stepped on for a long while for its size and price in a while. Owners have moved South otherwise you would not be getting the change to buy it!! Too much has been done to list here which includes $42k spent on the motors (invoices can be provided) . . . The Mustang 3800 sports Cruiser was voted AUSTRALIAN BOAT OF THE YEAR in 2000 and it is easy to why..... 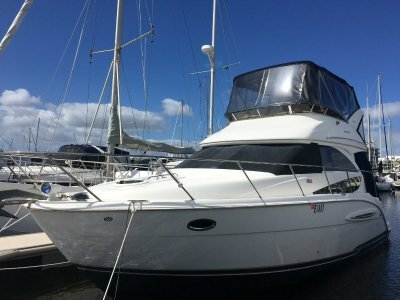 This is a great family boat, well set up for weekends or weeks away, this extremely comfortable boat is set up with double and queen beds, fridge in galley and deck, microwave, 400 Litres . 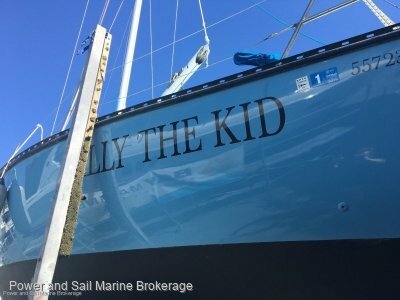 . .
Coming back on the market as the owner says sell, his lady doesn't like the boat...... $500k to get another and this thriller is complete complete with a $40k trailer! 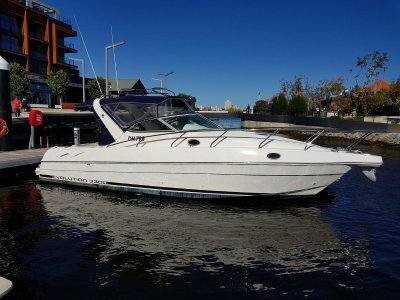 Previously owned by a WA Mercruiser engineering legend with open water racing pedigree so he knows his boats and how to . 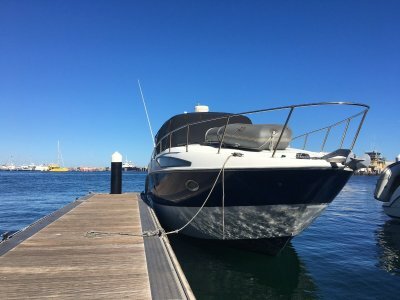 . .
Pre alert that this is coming for sale, more pictures to follow but if you want a ripper flybridge then please do not buy anywhere else until you've looked at this one. Call Neil now to be the first to view 0450 116160 . . . This is a big volume well serviced and dry stacked vessel that will tick lots of boxes. Ready to go with new Manifolds and a major service recently. 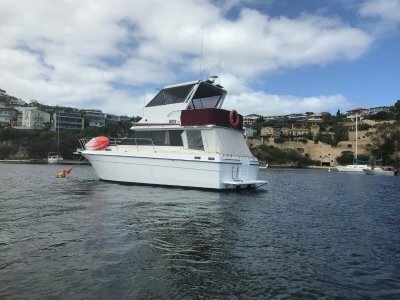 If your looking for a 32-38ft boat to accommodate the whole family then this is it, well worth a look to see how this extended stay-a-board could . . . 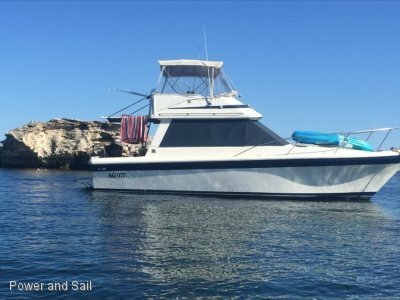 The name says it all Riviera, economical cruiser with room for the family to spend long stays aboard at Rotto or for a few mates for to go fishing where ever the fish finder takes you, this boat has it all!! She was Re-powered in 2016 with twin Volvo TAMD41P with the turbos replaced and is . . .
WA built and fit for the waters that we have, this vessel will handle it all. Full rebuild just over a year ago and so nothing to spend! 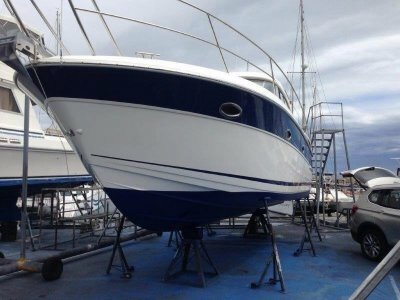 A boat for every occasion wash down decking throughout and spacious accommodation to make extended stays a breeze. The owner just wants to go bigger and . 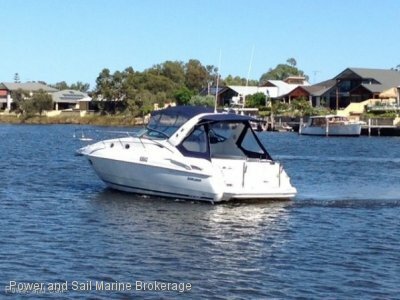 . .
2008 BAVARIA 33 HARD TOP Great family cruiser with Separate cabins lots of storage space. 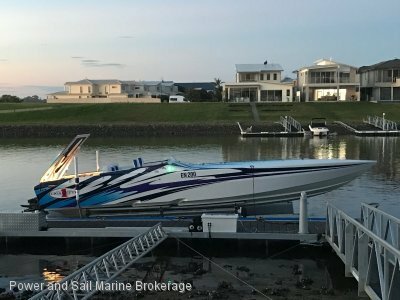 Twin Volvo Penta 190 HP with Low hours Z Drive Shafts Extremely economical with fuel consumption 40 LPH at 22 knots and 14 LPH at 8 knots Call Neil 0450 116 160 or Rod 0499 987 077 to arrange . . .
You could be forgiven for thinking this is a 2015 inside the boat and 2012 outside....... They do not come any better than this and its probably the best SR3300 for sale in WA right now!!! 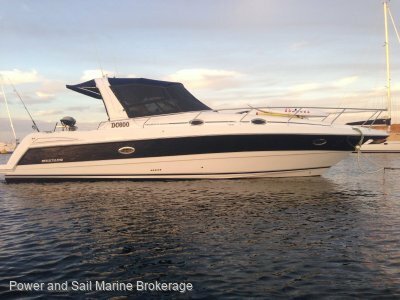 This Sunrunner 3300 cruiser with twin MerCruiser 4.3 ltr V6 engines has service records and spend. Built on . . . This beauty is ready to sail the Wild West coast, just make sure your aboard!! She has been very very well looked after with all exterior surfaces recently painted (2Pack), from the outside its hard to believe the vintage. An easy mast lowering system gets you past the Bridges others stop at, . . .